Who said geeks don't drink wine? Quirky's Tether promises to save your valuable and very delicate wine glasses in your dishwasher. 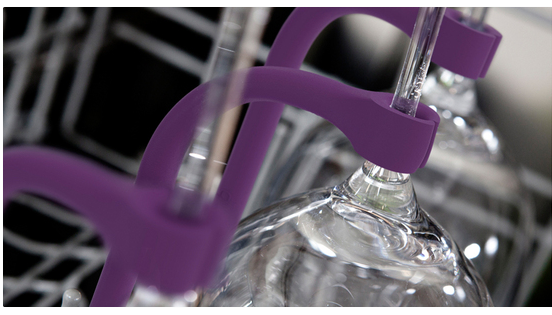 The flexible silicone rod adds a level of stabilization to the wine glass while its inside the washing monster as it goes thru the dishwasher's vigorous cleaning cycles and eliminates the threat of glass-to-glass collision. The Tether can be adjusted to fit all kinds of wine glasses and it comes in a pack of 4 for $12.99. You can pre-order the Quirky Tether right now. No available date has been announced as of yet.